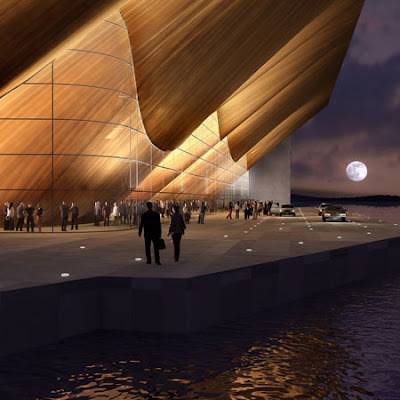 The Kilden Performing Arts Centre by ALA Architects presently under construction in Norway is a 16,000 m2 multipurpose venue for the Kristiansand Symphony Orchestra costing £117 million and is expected to be completed in 2011. 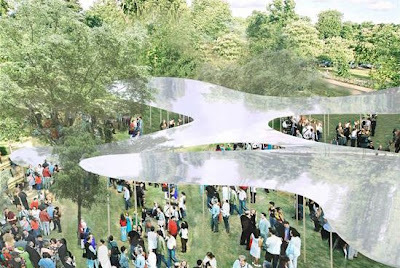 A partnership between Rojkind Arquitectos (Mexico) and BIG (Denmark) have been awarded first prize in the Rufino Tamayo Museum design competition. 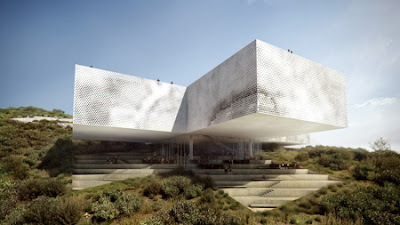 Designed as an “Opened Box,” the proposal for a 3500m2 museum overlooking Mexico City bears a strong and direct symbolic reference with it's cross-shaped footprint. 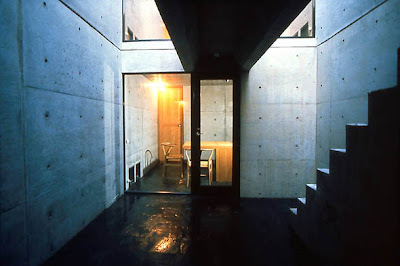 On a tight 57 sqm lot, Tadao Ando has placed a simple concrete row house that wraps around a central courtyard that draws air, light (& rain) to the adjacent spaces - a modern twist to an otherwise traditional Japanese vocabulary. An unceremonious autobiography that aims to capture the enthusiasm for life, the Brazilian landscape, many loves and friendships of master architect Oscar Niemeyer. More than a chronological documentation of his life, it reads as an emotional reflection of the social and political influences that shaped his thoughts and his works. Reissued on the centenary of his birth, it paints a personal and moreover a historical glimpse of his contribution to modern architecture. The informality of the book aside - original sketches by the architect adorn the pages, seeking to illustrate and exclaim where the story or perhaps his memory falls short. 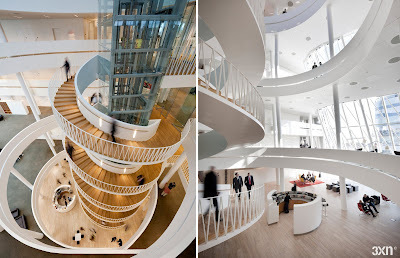 The new headquarters for Saxo Bank designed by architects 3XN aims to reflect the young and dynamic profile of the internet investment bank. 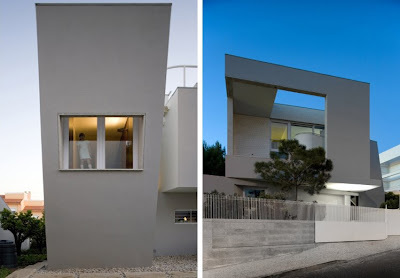 The structure balances an impressive exterior that takes cues from the sea and sky, with an internal organization that encourages interaction through transparency and open circulation. For my birthday, a donation to Architecture for Humanity and the Mango Tree Foundation was made on my behalf using the Network for Good - a website where you can donate and volunteer and for causes you care about. The 2030e2 energy estimating & evaluating tool is aimed at assisting the design and construction of fossil fuel free buildings. 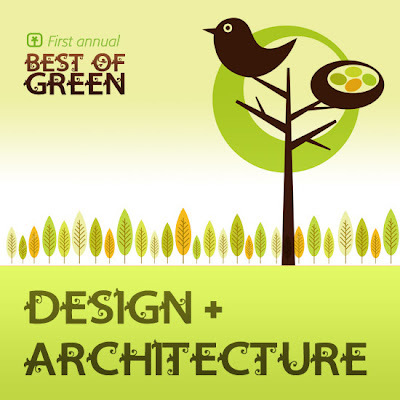 Offered by architects Perkins + Will it is an on-line tool that will help project teams set energy mix goals for the 2030 Challenge and covers four basic energy areas: Efficiency and Conservation, On-site Renewable Energy, Off-Site Renewable Energy and Green Power. 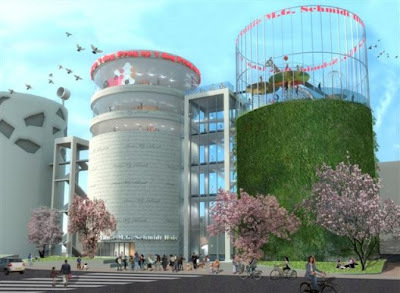 Arons en Gelauff has recently won a design competition for the Annie MG Schmidt House, a proposal honouring Holland's most acclaimed writer of children's books. 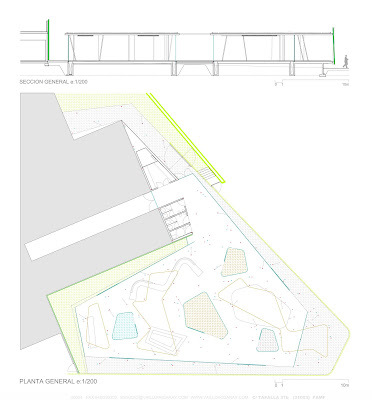 The winning scheme, to be completed in 2011, converts three sludge digesters and the space around them into a multifunctional cultural centre containing a rooftop playground and restaurant. 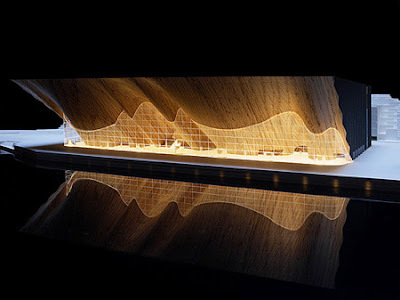 The Caixa Forum proposed for Zaragosa, Spain designed Carme Pinos. 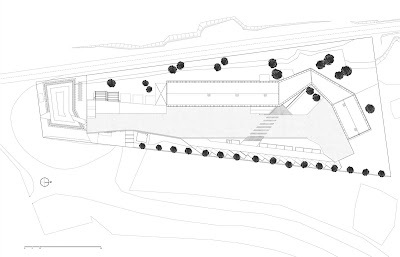 The €15 million project when complete in 2012 will be composed of two exhibition halls measuring 430m2 and 810m2 respectively, and a minimal footprint generating a new public space with the neighbouring urban environs. 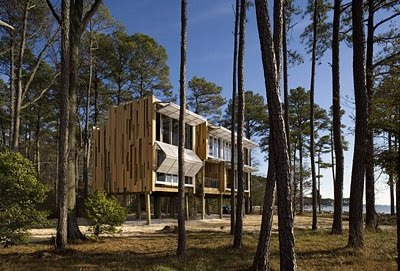 The Loblolly house by architects Kieran Timberlake is composed entirely of pre-fabricated components, most significantly the floor and ceiling panels that distribute the HVAC, plumbing and electricity throughout the house; and the exterior wall panels that provide the structure as well as the fenestration (windows and rain screens), insulation, and interior finishes. Fully integrated bathroom and mechanical room modules were transported to the site on Taylors Island along the Chesapeake Bay in Maryland and lifted into position. 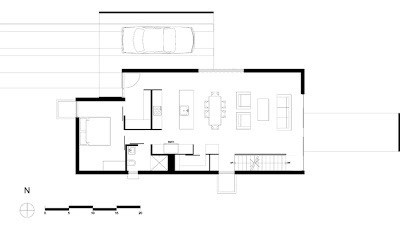 The 2,200 sq ft residence gets it's name from the grove of loblolly pines on the site. 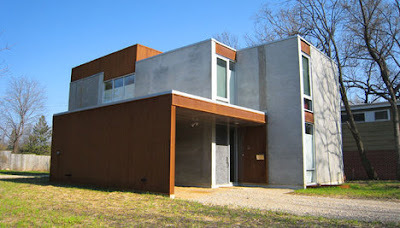 5ive is a two storey LEED Platinum certified House in Minneapolis, Minnesota designed by the architecture practice Shelter. The clients approached their new home as an opportunity to start a new lifestyle that would significantly decrease their impact on the world. 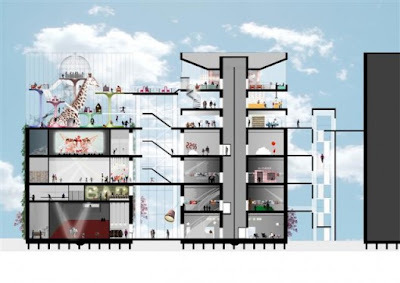 They began reshaping their mobility, their diets, their energy use, and even their rate of consumption. 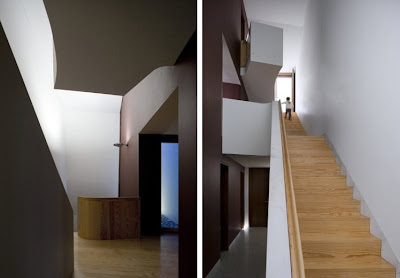 Their home was designed as a constant supporter of their new lifestyle. The site is close mass transit and community services. 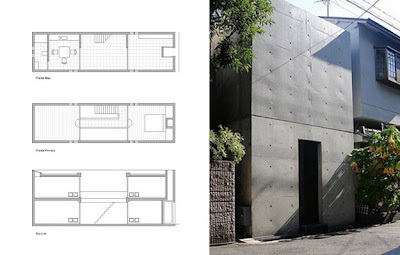 The plan allows them to gracefully age without having to move or remodel. 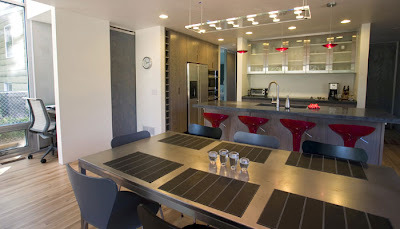 The kitchen is laid out to promote a better diet. 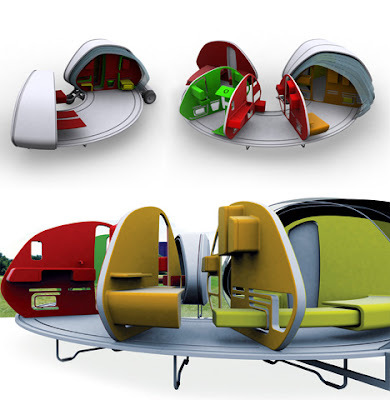 Storage is designed to decrease waste and over-consumption. 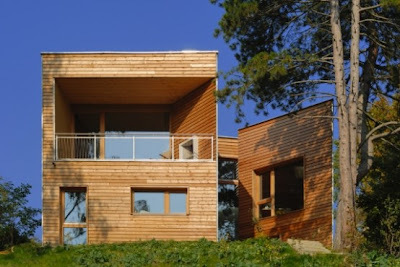 And, of course, everything in the building is the most energy efficient possible. 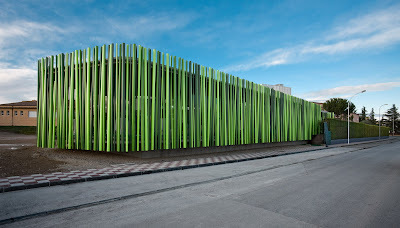 This trendy lounge in Navarra, Spain by Vaillo + Irigaray architects takes as its concept a micro organism that informs both the flexible spatial layout to the fence-like exterior that resembles a grove of bamboo made of plastic tubes of varying shades of green. The Federation of Caribbean Associations of Architects (FCAA) in conjunction with the Society of Architecture for the National Union of Architects and Engineers for the Construction of Cuba (UNAICC) presents the VII Biennial of Caribbean Architecture under the theme The Caribbean That Unites Us to be held in Havana, Cuba from 20th to 22nd October, 2009. What was the social and political impact of the architectural Modern Movement on the island of Curaçao and other neighbouring countries? 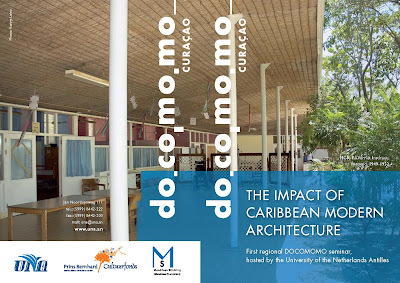 This is the central theme of the first regional DoCoMoMo conference to be held in Curaçao in co-operation with the University of the Netherlands Antilles (UNA) from 27th to to 29th April 2009. A number of renown architects from the Caribbean region will be presenting cases of the Modern Movement in their respective home countries. 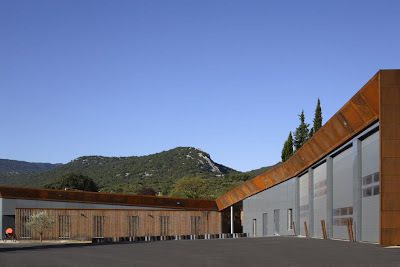 N+B Architects (Jacques BRION & Elodie NOURRIGAT) have recently completed the exploitation centre and the building for forest fire fighters, in Brissac France. 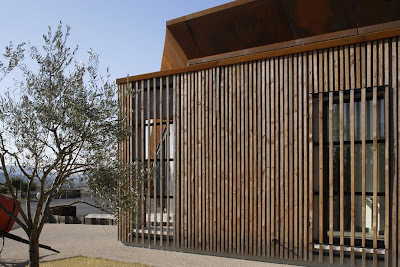 The Corten wrapped facility is located amongst shrub covered hills and with vast agricultural plains, which lend to the character of the low hung building. 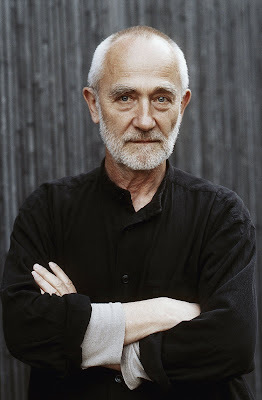 Swiss architect Peter Zumthor has become the 2009 Pritzker Architecture Prize Laureate. His practice is often associated with the Kolumba Art Museum and more recently the Brother Klaus Chapel both in Germany. 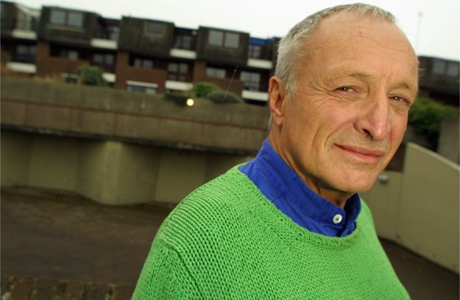 Perhaps his most recognisable work however is the Therme Vals, a sedate modern spa in Switzerland, that has acquired media sensation often being used as a backdrop fashion shoots and advertisements. 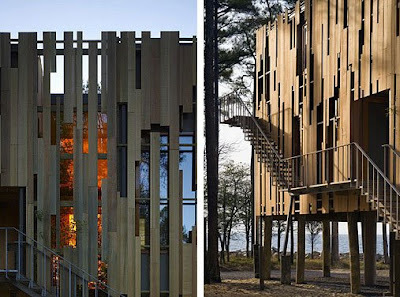 Following Herzog de Meuron in 2001, he is the second Swiss architect to win the award. 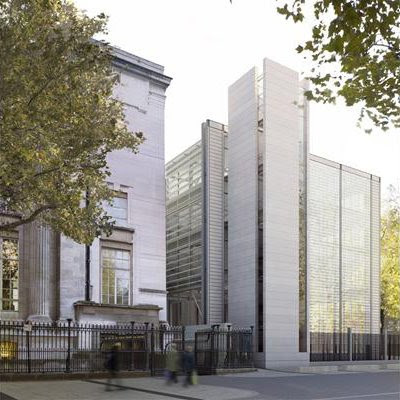 RSH+P (Rogers Stirk Harbour + Partners) led by architect Richard Rogers has recently revealed images for the extension to the British Museum. 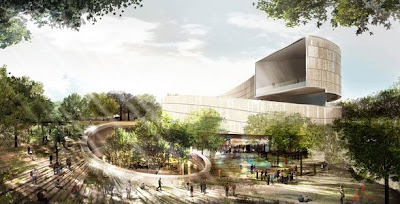 The 17,000m² proposal is to cost £135 million, and will be the largest extension to the museum since Foster's expansion to the court in 2000.
that created the NX House in Cascais, Portugal. 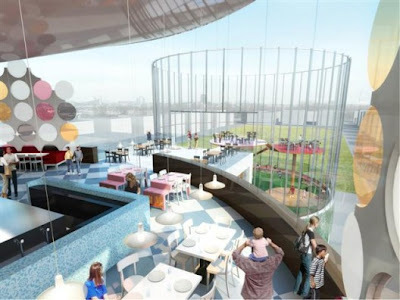 The architects ARX have designed a contrasting internal core to the restrained orthogonal exterior whilst retaining a visual tranquillity. 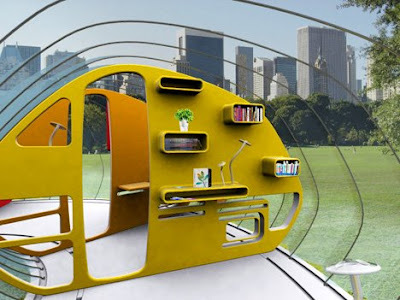 The Mobile Mini House, designed by Stephanie Bellanger, is a modern interpretation of the typical camper with partitions that fan out to create the spaces. 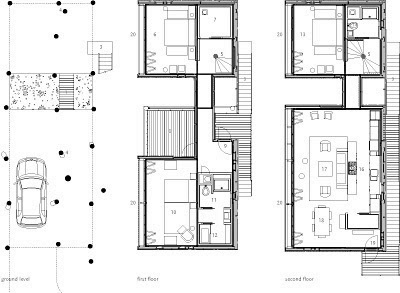 Each partition contains the function of the rooms - bathroom, kitchen, living etc; and a sliding screen blurs the boundaries with nature. We've reached another milestone - 500,000 visitors since March 2005. Thank you for your continued participation. A new feature will be published in celebration of this accomplishment - watch this space! A family house on a rustic site in Vienna, designed by Syntax Architecture. 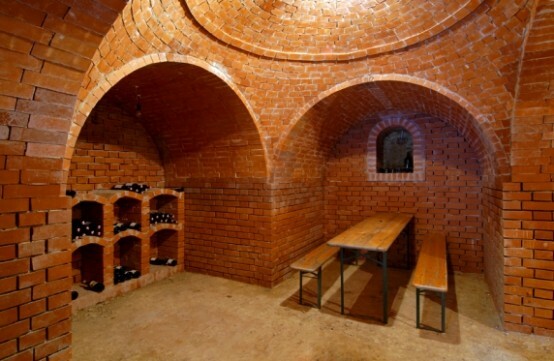 In contrast to the modern aesthetic of the residence, is a wine cellar dug into the earth along the steep slopes of a south-facing hillside. 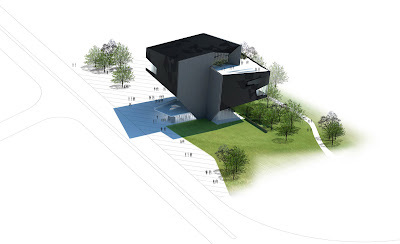 The Smithsonian Institution recently unveiled conceptual designs of the African American Museum to be located along the Mall (Washington, DC) from six architects (mostly collaborations with international architects and local firms). 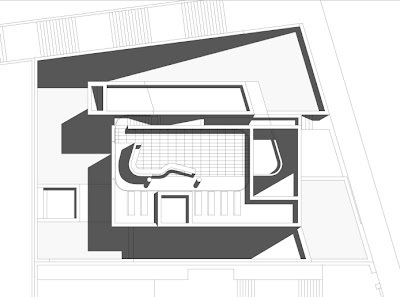 Most seem to be tackling an aesthetic suitable for the emotional representation of an African American Museum. I am most taken by Foster & Associates who has presented a project unlike those in his oeuvre with a striking reference towards journey. 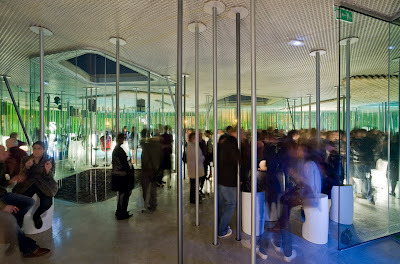 The Culture Bazaar is a project that aims to dissolve the boundaries between interior and exterior. 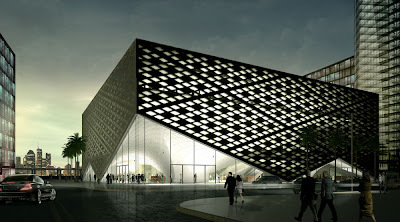 The project was a competition entry by Danish architects JaJa for an House of Arts and Culture to be located in Beirut, Lebanon.